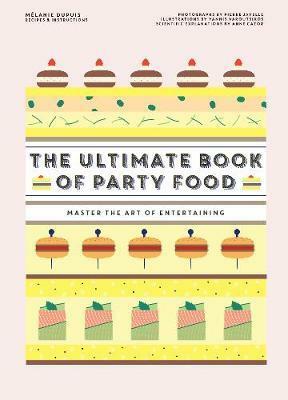 The Ultimate Book of Party Food presents the know-how required to master the art of entertaining guests with savoury and sweet treats. Each recipe features a full-colour cross-section illustration, step-by-step photography and a beautiful hero image to inspire the reader and demystify the cooking and preparation process. The Ultimate Book of Party Food includes basic building-block recipes such as sauces, breads, doughs and fillings, followed by detailed recipes, from fingerfood and small bites to sandwiches, rolls, soups, and tarts, to tiny sweet treats such as macarons and mini cremes. Rounded of with tips on menu planning, preparation timing and food storage, alongside sample menus, cooking and preparation techniques and information on produce, The Ultimate Book of Party Food is the complete toolbox you need to host your next celebration.